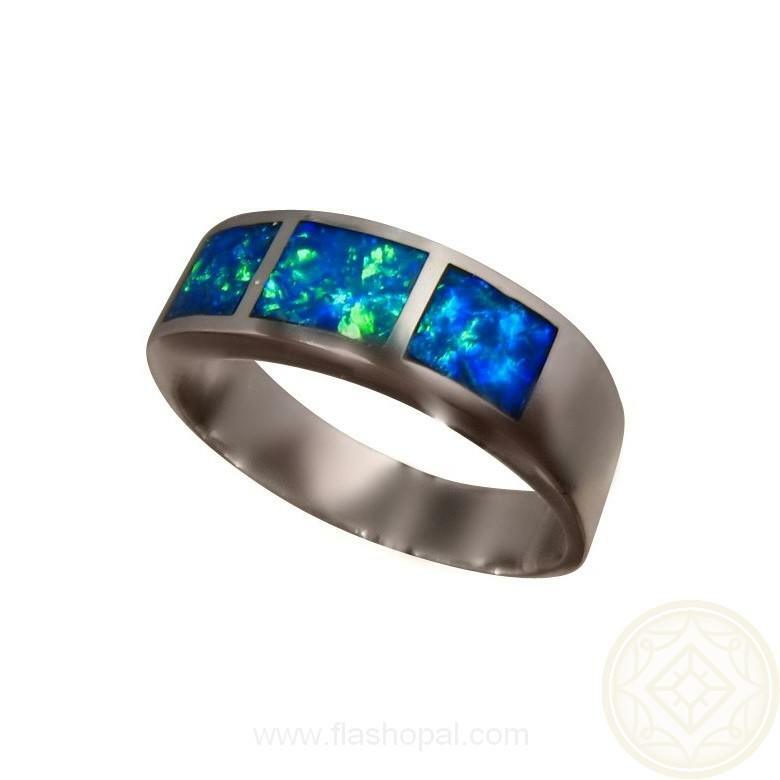 A Silver Opal ring for men in 925 Sterling Silver with three very bright Blue and Green Opals. In stock and ready to ship. 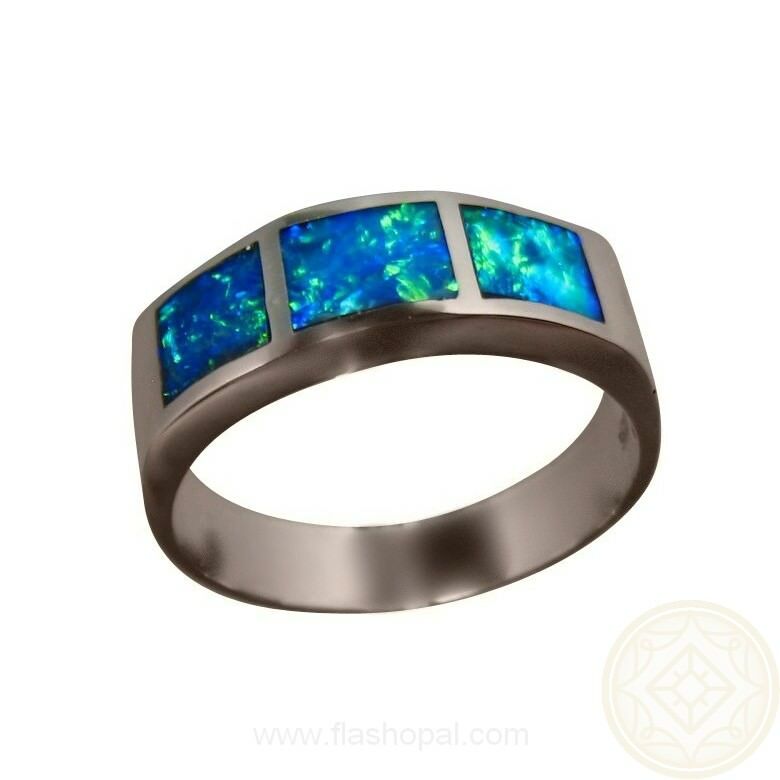 Classic style Opal ring for men or women in 925 Sterling Silver and is inlaid with three Lightning Ridge Black Crystal Opal that are almost square in shape. 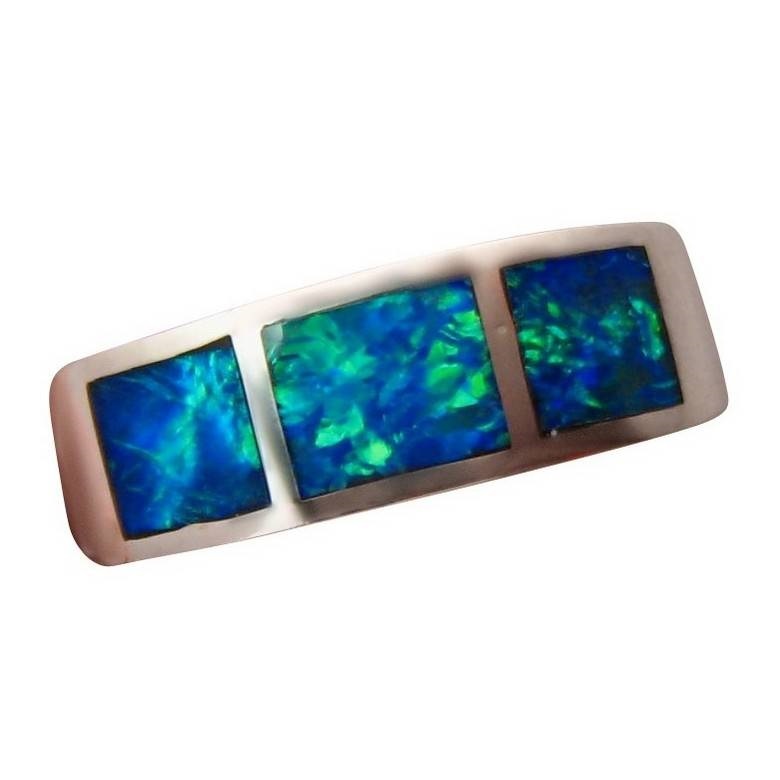 Each Opal flashes very bright Blues and Greens which look impressive against the Silver and you will see the color play with movement in the video below. You will also see the high polish and shine of the Silver that the images do not show. 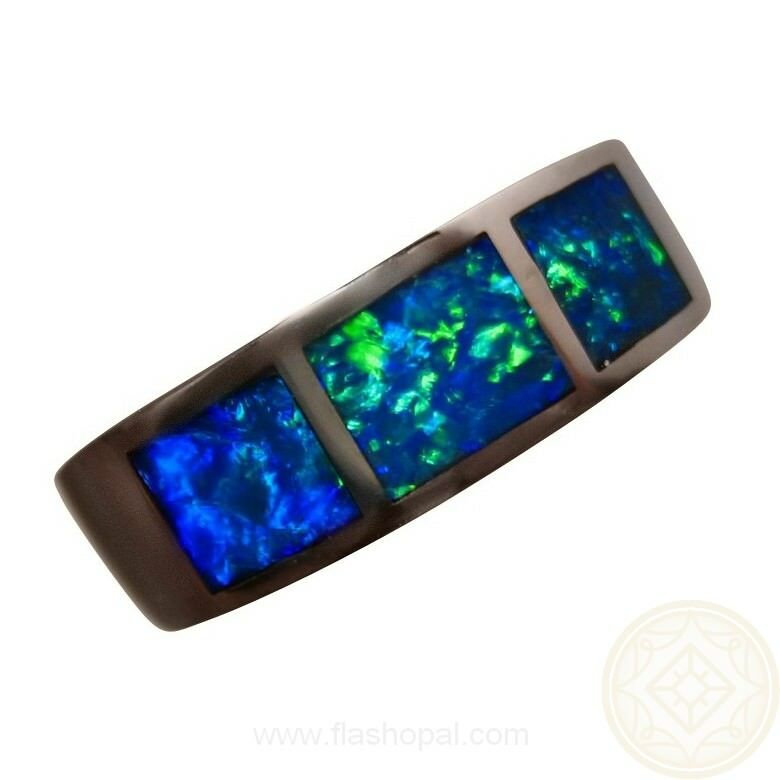 There is a slight round indentation between two of the Opals however it does not detract from the bright flashes of color. 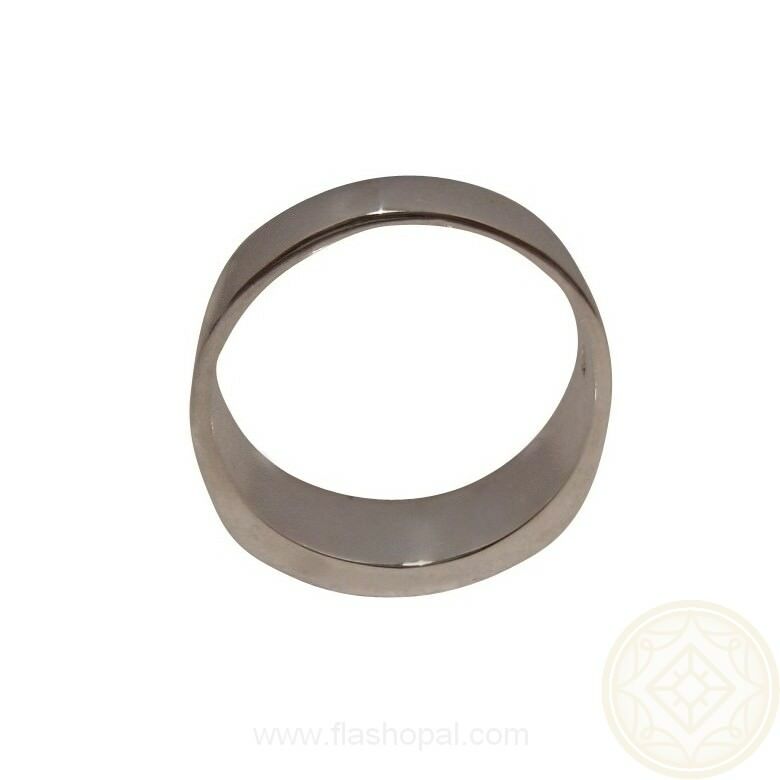 It is ready to ship now in a Size 9 ¾ or one can be Made to Order in any other ring size and will take about 7 days to make.